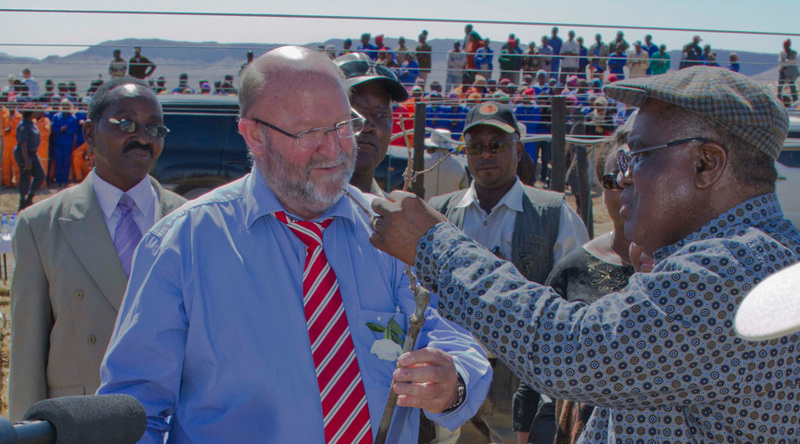 On Wednesday, 25 August 2010, the CEO of Cape Orchard Company Namibia, Mr. Gerhard de Kock, was proud to hand over an ambulance to His excellency President Hifikepunye Pohamba of the Republic of Namibia on his visit of the Namibian Grape Industry in the Karas region. 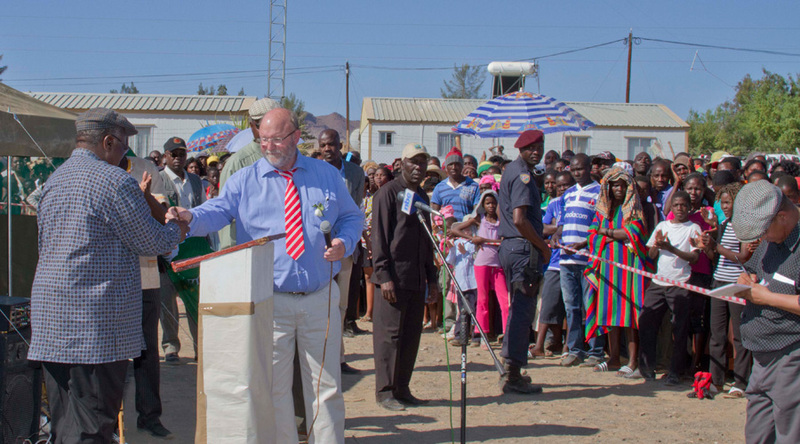 The vehicle was donated to the Department of Health by Cape Orchard Company and Mr. Antonie van Heerden, general manager of COC Namibia, to serve the Aussenkehr community and transport patients to Karasburg and Keetmanshoop. 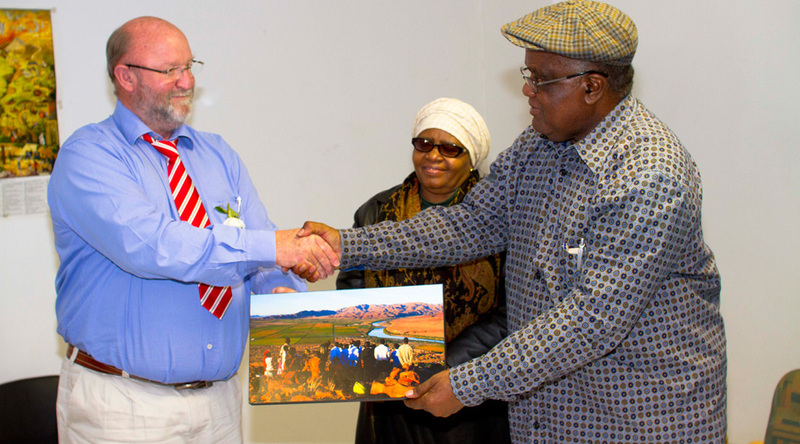 During his visit, the President made use of the conference facilities on COC Namibia to meet with the Managements of the Aussenkehr grape companies. 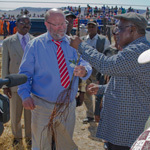 After the meeting The President and his wife took part in a tour of the orchards, each planting a vine in the new seedless grape orchards of COC Namibia, developed especially for the UK markets. 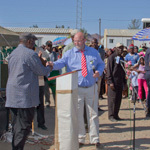 The tour was then followed by a ceremony at the local clinic where the ambulance was handed over.